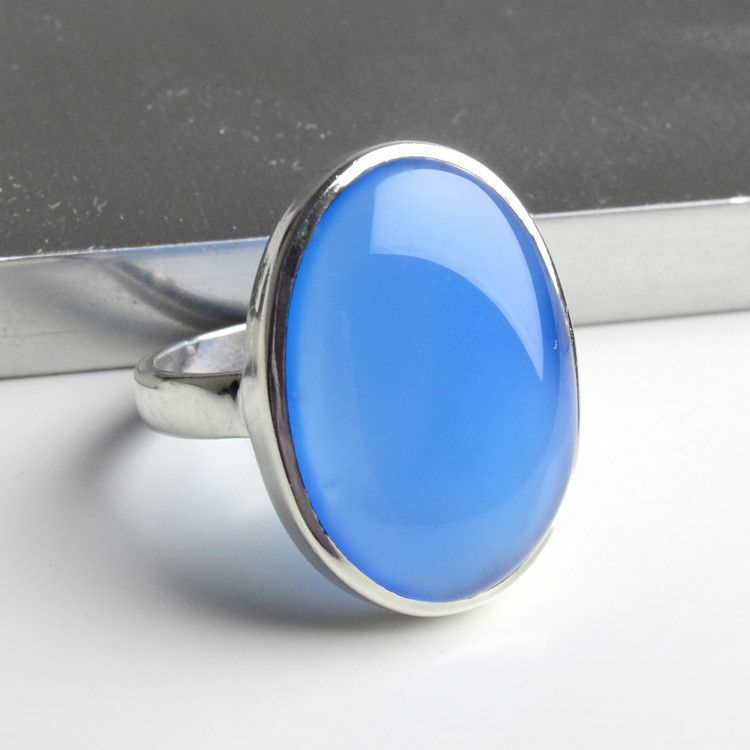 This beautiful and big (1" x 3/4") chalcedony stone ring will be loved by many! 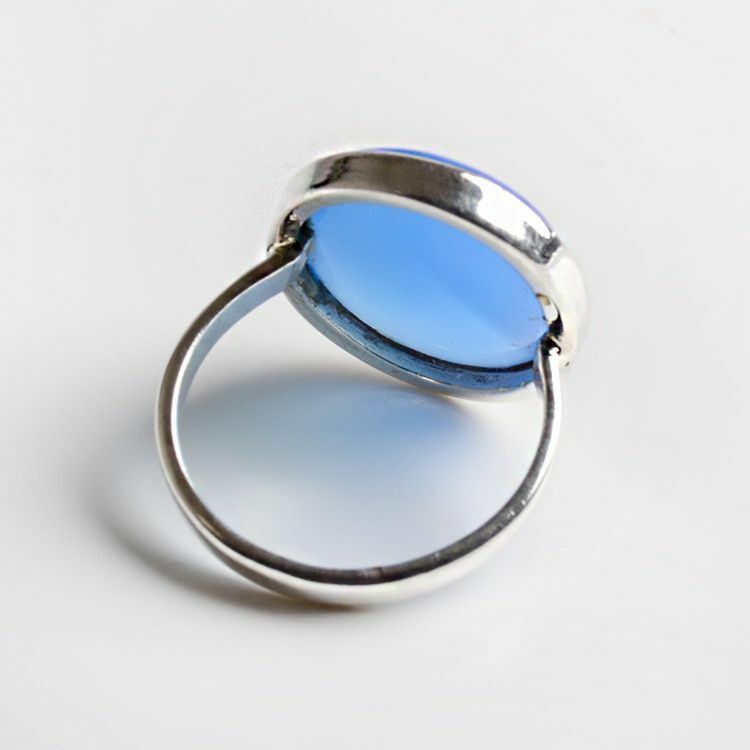 The cool, soft blue oval is just a great addition to any outfit. 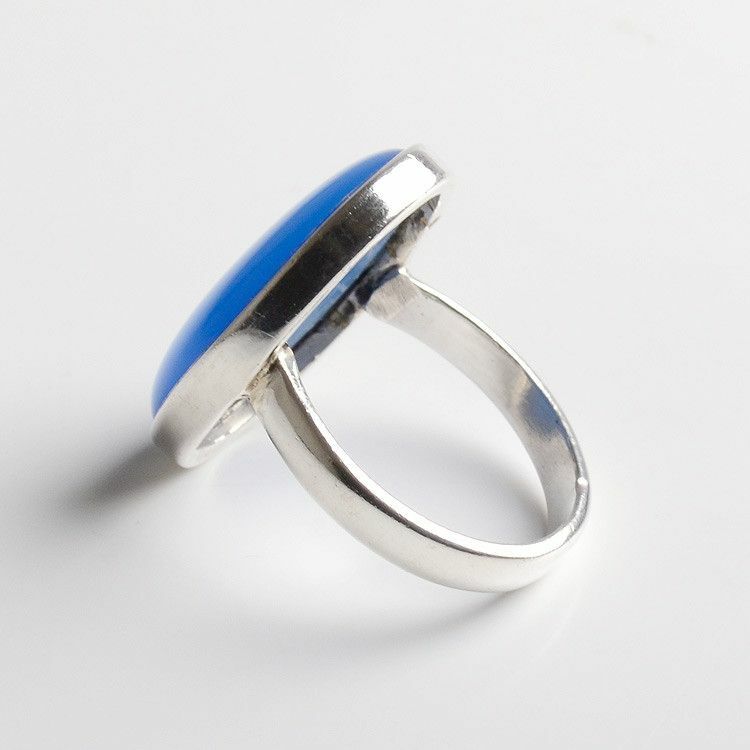 Sterling .925 silver completes the simple, classic design of this size 11.5 ring.